Inspired from african beauty rituals, our cream of shampoo is made of plant butters (shea, mango) and organic aloe vera juice known for their haire care benefits. 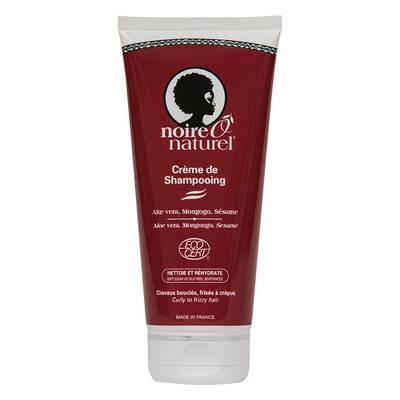 Its very soft and SLS free formulation gives it its creamy texture without foam for a softly shampoo care. An enriched formula with organic oils (sesame, coconut) and mongogo soothes and nourishes your hair from roots to tips. ** A base d'aloe vera reconstitué.